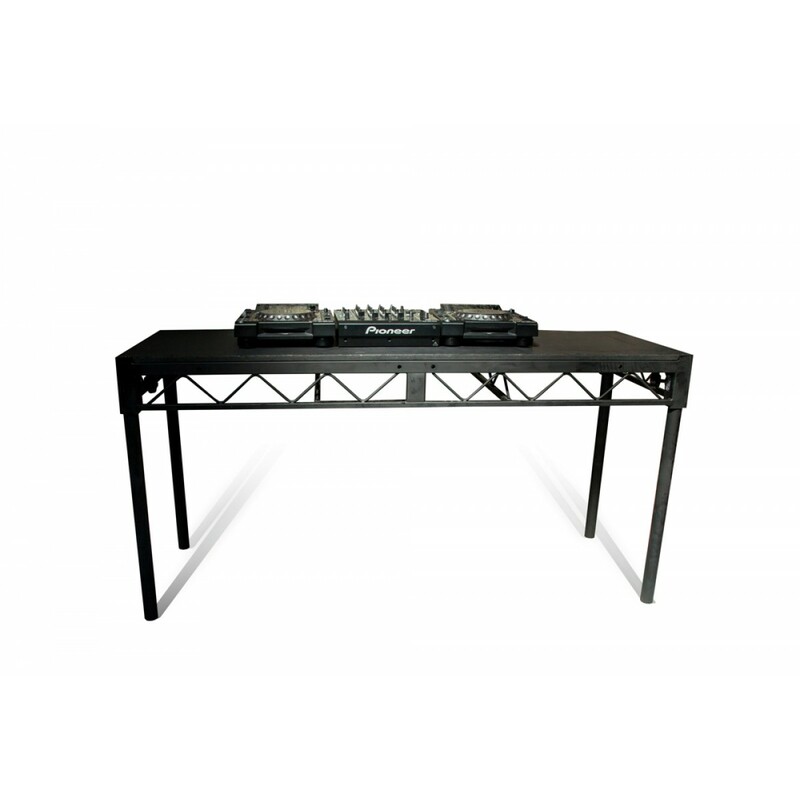 The Steeldeck DJ Work Table is a 6' x 2' table with 36" legs. This is a heavy duty DJ table suitable for use with vinyl turntables. The table's legs are 36" - if more height is needed, we can provide screw jacks for the legs to add additional height on request. The construction is steel with a wood top.